Programmatic advertising is one such tool which proves beneficial to all the businesses. 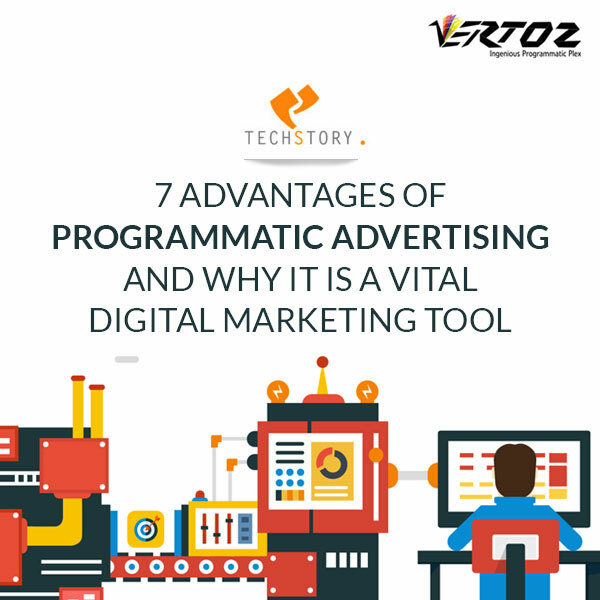 Ashish stated that more than 70 % of marketers are running programmatic ads on all the top social media platforms, more than one-half employ it on mobile and almost 40 % use it for video marketing. He points out that programmatic advertising offers real-time data and insights to all marketers. It is not at all stringent, rather, it is far more flexible to changing market dynamics. One of the key points which he stressed on was advertisers pay only for relevant impressions. Ashish also pointed out that programmatic advertising offers greater transparency as compared to traditional advertising. He said that via programmatic, advertisers can track what sites their advertisements are reaching and the type of customer looking at their ad. With the help of programmatic, any costs associated with the advertisement is accurate and all of this happen in real-time to finely-tune ad campaigns as needed. He also explained in this article why programmatic minimizes incidences of ad fraud. With programmatic advertising advertisers get a real picture of exactly how many people their ads are reaching whenever they choose, such as hourly or daily basis. Major alterations in technology mean marketers have started to move past a last click-oriented model to a more modulated approach that contemplates a range of touch points and user actions. Programmatic helps an advertiser to identify truly what’s driving revenue for their business. Techstory is a media platform that covers stories of inspiring entrepreneurs and businesses that are challenging the norms and changing the rules of the game. They strongly believe that technology will have a huge impact on the way we live our lives and are extremely passionate about making sure that technology startups and entrepreneurs get the right kind of exposure. Techstory strive to explore the latest in the world of startups and technology businesses. Vertoz is the complete advertising and monetization suite. Programmatic advertising comprises of automated media buying, placement, and optimization of digital advertising, where both supply and demand partners are free from human intervention. Vertoz is among the top programmatic company that offers engaging and innovative advertising and monetizing solutions. Amongst all the top ad tech companies, we empower a global roster of top advertisers and publishers- all under one roof. We offer one-stop-shop for you! We only talk about programmatic advertising technology and we cater out finest ad buying system.